Note that there are two generations of this kit. TM400 is the older version and has an analog settings interface. TM400A is the current version and has a digital settings interface. If ordered as an actual kit, the hardware comes in a Pelican case. The parts can also be ordered separately. If you are purchasing for use in the EU, I suggest you contact Lectrosonics for guidance in selecting the right hardware as RF regulations are different than in the USA. 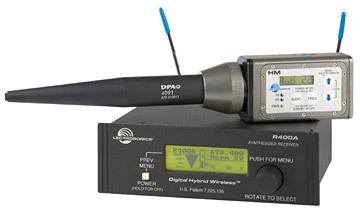 Lectrosonics Digital Hybrid Wireless™ (U.S. Patent Pending) uses a proprietary algorithm to encode the digital audio information into an analog format which can be transmitted in a robust manner over an analog FM wireless link. This combination offers the superb audio quality of a pure digital system and the outstanding operating range of the finest FM wireless systems. The digital audio chain eliminates compandor artifacts, and provides audio frequency response flat to 20 kHz. 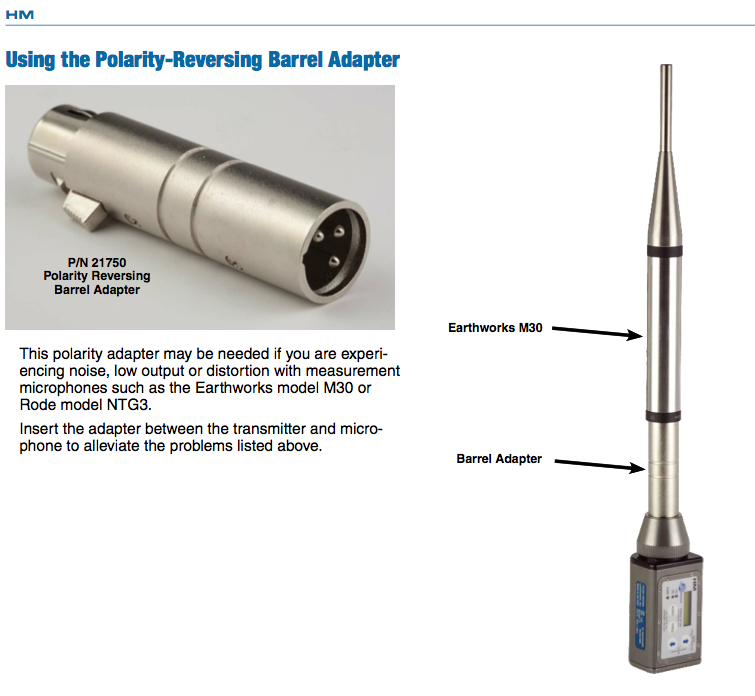 The RF link takes advantage of the spectral efficiency characteristics of an aggressively optimized FM radio system. Manufactured in the USA to exacting standards, the TM-400 is ruggedly built and engineered to deliver years of reliable service, even in the most demanding production environments. The complete kit includes the HM transmitter, R400A receiver, XLR pin swap adapter (required to phantom power some microphones) and foam-fitted, water-resistant hard case. 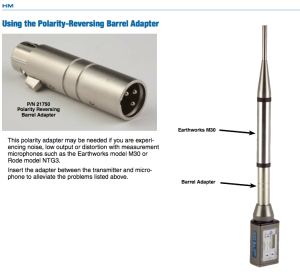 Here is a photo of the TM400 transmitter with an Earthworks M30 & the necessary XLR pin swap barrel.